The leader of the UKIP group on Rotherham MBC has offered to give up nearly £12k of his allowances to help save children's centres. 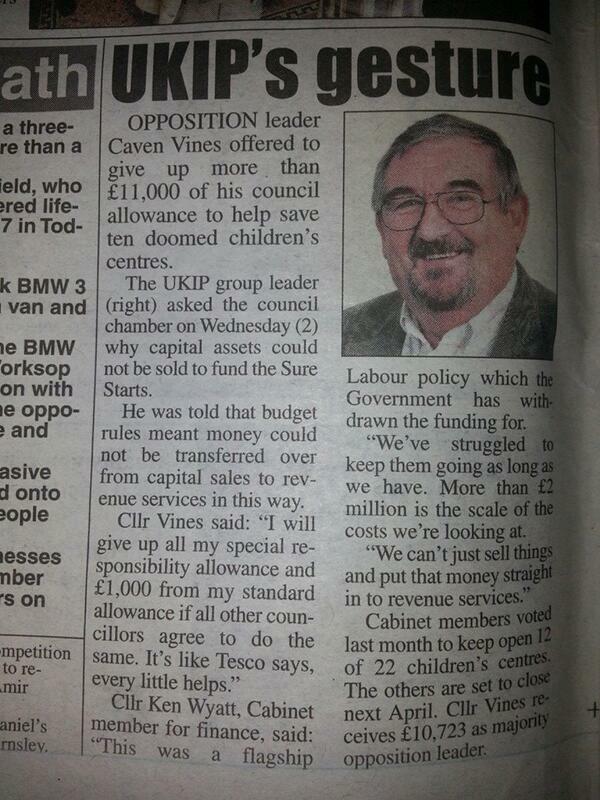 Cllr Cavan Vines said he would give up the £10,723k allowance he gets as leader of the opposition and £1k from his councillor's allowance to help fund the 10 children's centre faced with closure if other councillors would do the same. They all refused.